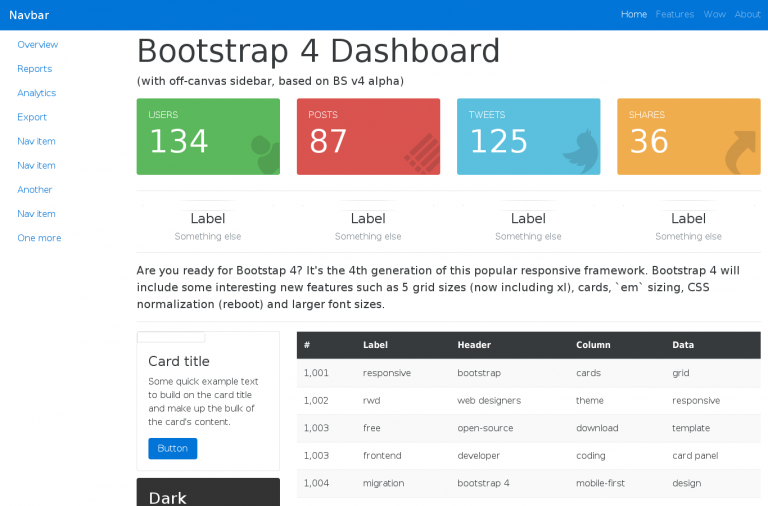 Find here a collection of the most popular Bootstrap Templates available for free download. 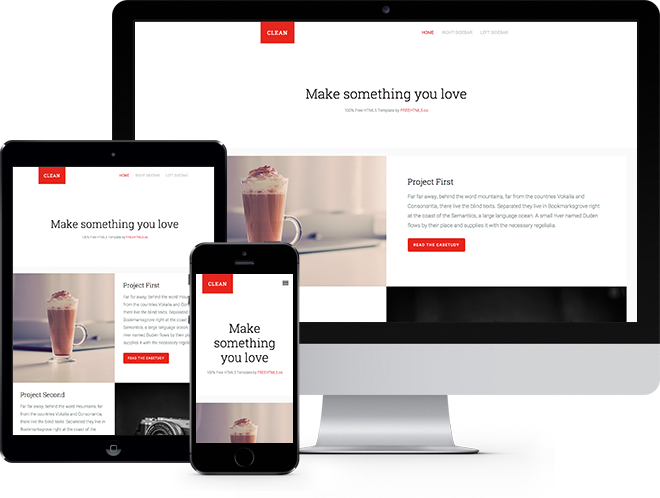 These templates are high-quality and allow you to convert them into a real website with ease. We have also included a few premium top selling Bootstrap HTML templates and official Bootstrap themes at the end to give you additional options. Bootstrap framework is extremely popular when it comes to responsive web design frameworks. Bootstrap enables front-end developers to get started quickly with building responsive websites due to its standard patterns, tools, and components. 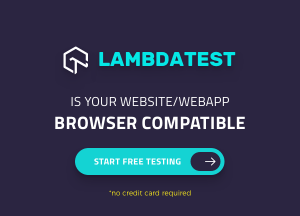 If you build a website with the default Bootstrap theme or template then the chances of your website looking like another bootstrap website are pretty high. In order to stand out from the crowd, while still utilizing the power of Bootstrap framework, you can start from one of the great looking and free Bootstrap templates listed below. 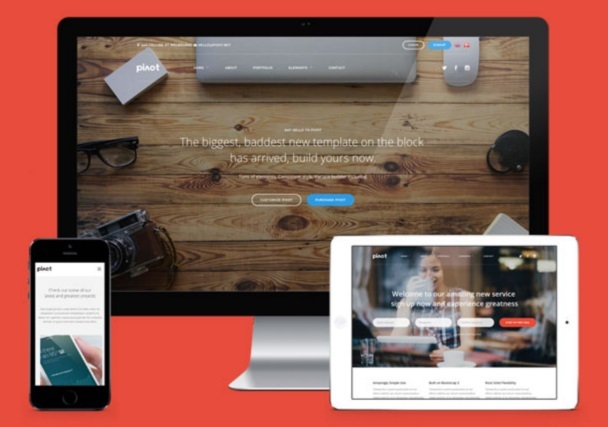 Also, check these free Bootstrap WordPress themes if you are a WordPress developer. Find below our collection of some of the best templates built with Bootstrap 3 as well as Bootstrap 4, that are available for free download. In case you only want templates built with the newer version of Bootstrap, you can check our collection of Bootstrap 4 templates, which we keep up-to-date with latest released templates. 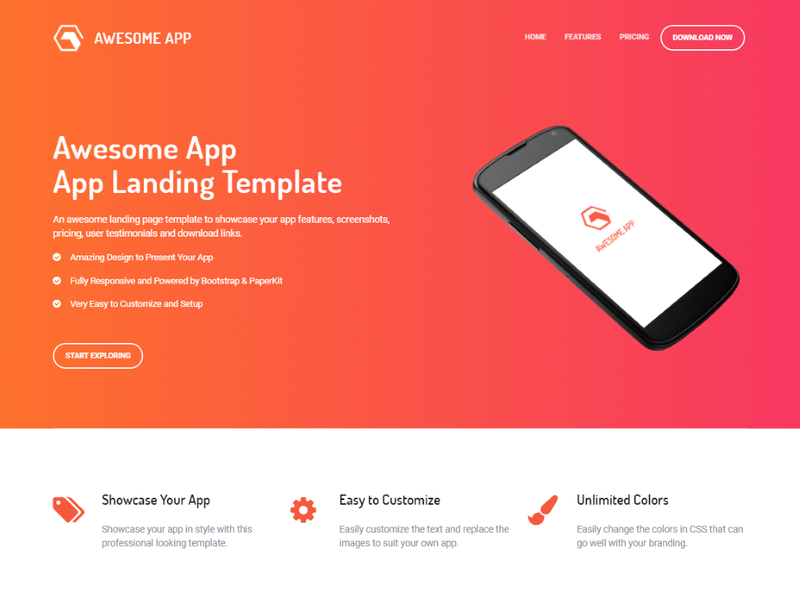 Awesome app is a free one page website template built with Bootstrap 4 and PaperKit 2. It is suitable for creating websites and landing pages of smartphone apps as well as software or products. 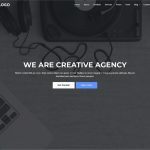 This template has been developed by TemplateFlip.com and it features a creatively designed landing page in gorgeous gradient color scheme. The template has are sections for showcasing app features, app screenshots, user testimonial, app download links etc and is easily customizable and extendable. 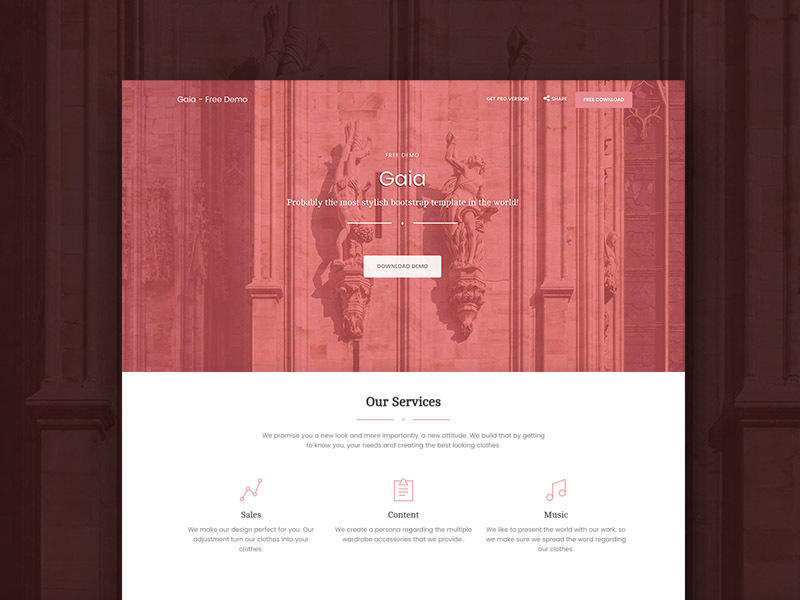 Gaia is a multi-page Bootstrap template built for professional websites and blogs. It offers clean and modern design along with custom built components and example pages. You can download the basic version of the template for free which is MIT licensed. Another option is to upgrade to the Pro Version which offers additional components, plugins, and example pages. Megapack is a free multi-purpose Bootstrap site template by Keenthemes. It includes 5 amazing demo options (app, clinic, event, corporate and lawyer). It has clean reusable code-base and contains parallax effects, on-scroll animations, off-canvas menu plus many more features that a modern website has. 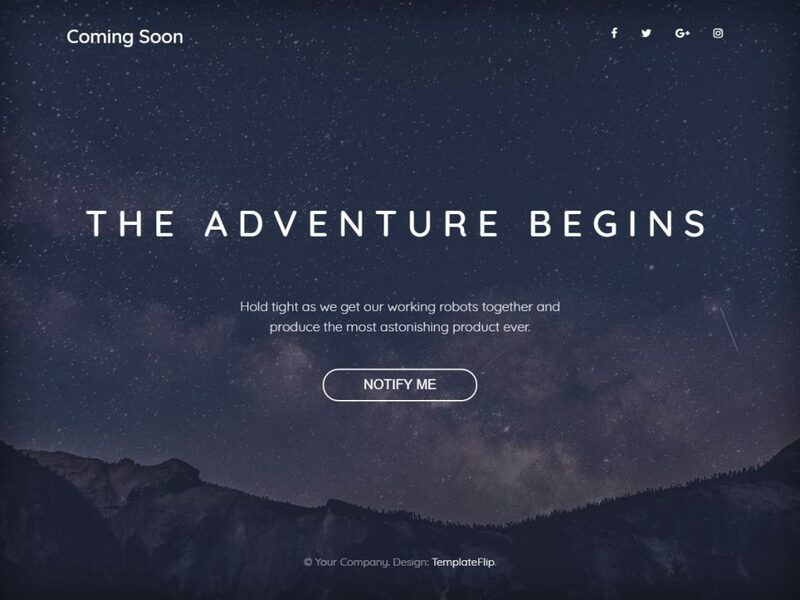 Built by TemplateFlip, this Bootstrap 4 based coming soon template features a full page background image, modern typography, and social icons. Included in the template is an e-mail subscription modal dialog which gets displayed upon clicking the “Notify Me” call-to-action button. The template is completely free under CCA3 license. 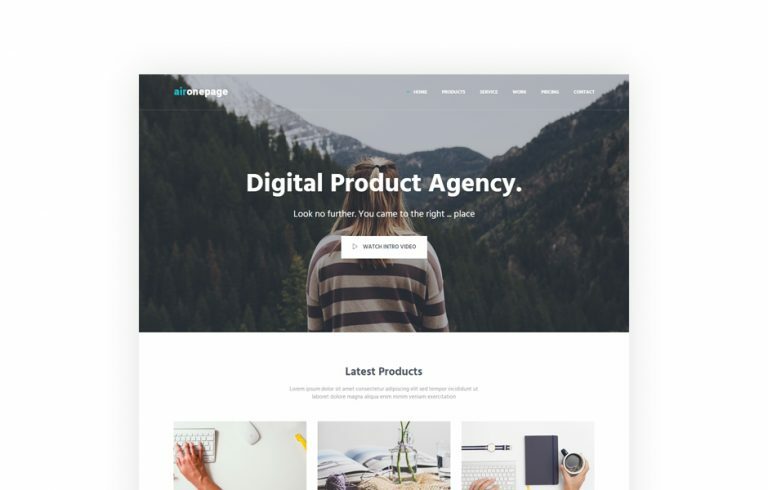 This single-page Bootstrap template comes with a full-screen video background, has a sleek dark/gray color scheme, accent color, and smooth scrolling. There are vertical content sections with subtle animations that are activated when scrolled into view. Also included is a gallery with modals that work nicely to showcase your work portfolio. Other features include a contact form, email subscribe form, multi-column footer. 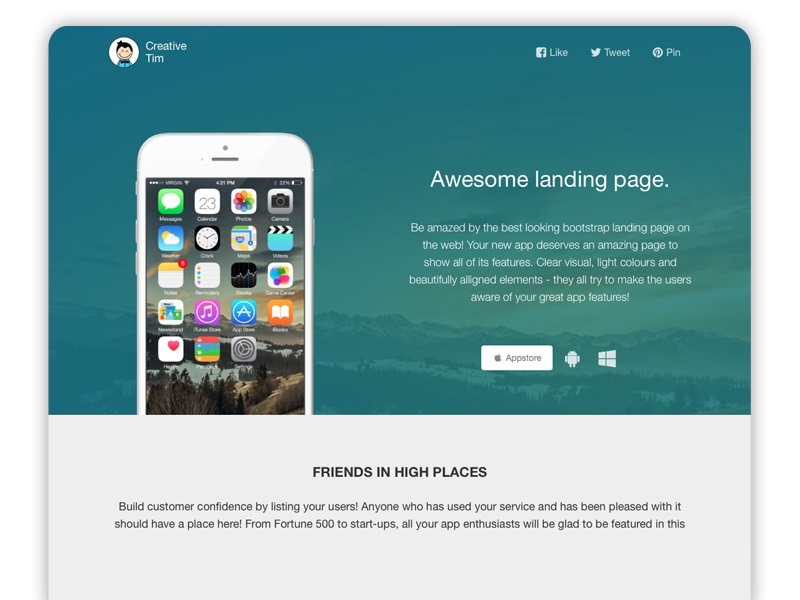 This is a free landing page template built with Bootstrap by the designers at Creative Tim. It comes with 5 beautiful and bright colors and offers clear, light and simple design. 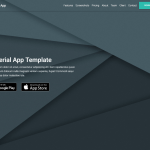 This Bootstrap template can be used for showcasing an app or a product. The template is MIT licensed and completely free to download. 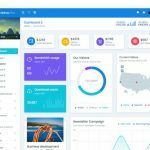 This is a starter “admin” theme that uses the Bootstrap 4 alpha version. As you’d expect from a pre-release version, it’s a work in progress that will continue to evolve with new releases. 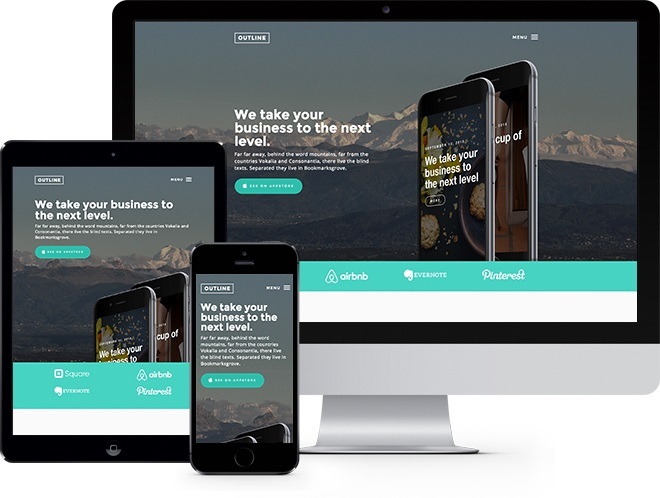 This is a modern, responsive one-page template with top navbar and full height, vertically centered sections. Google fonts Lato and Bitter that are used in this theme. This template has subtle animations, a contact form, multi-column footer and login modal. 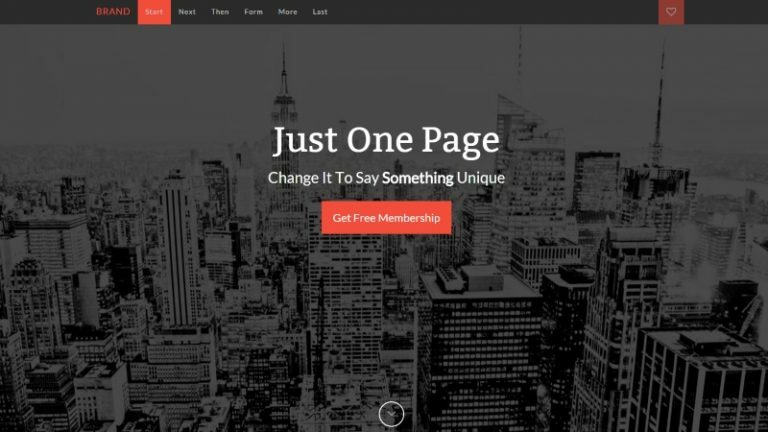 Aionepage is a fully responsive and multi-purpose parallax one page bootstrap theme from Keenthemes. Built with Bootstrap, it offers parallax effects, integrated jQuery plugins and is fully responsive and mobile friendly. Acidus is a multi-purpose responsive Bootstrap front-end theme for corporate, product and personal sites. 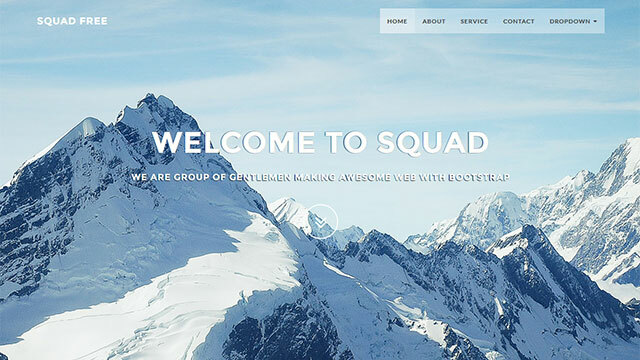 Squad is a free Bootstrap template from BootstrapTaste for creatives, with a simple and modern layout. Nice CSS3 animation added on each section scroll and navigation. This template uses wow.js animation script to animate section elements. 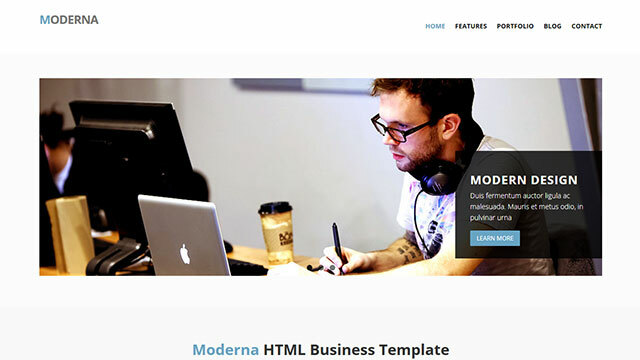 Moderna is a clean one page template with professional design and subtle animations. This works well for a startup website, blog, product page or designer portfolio. Asentus is a multi-purpose responsive bootstrap frontend template for corporate, product as well as personal sites. This free template by Keenthemes is free for personal as well as commercial use. 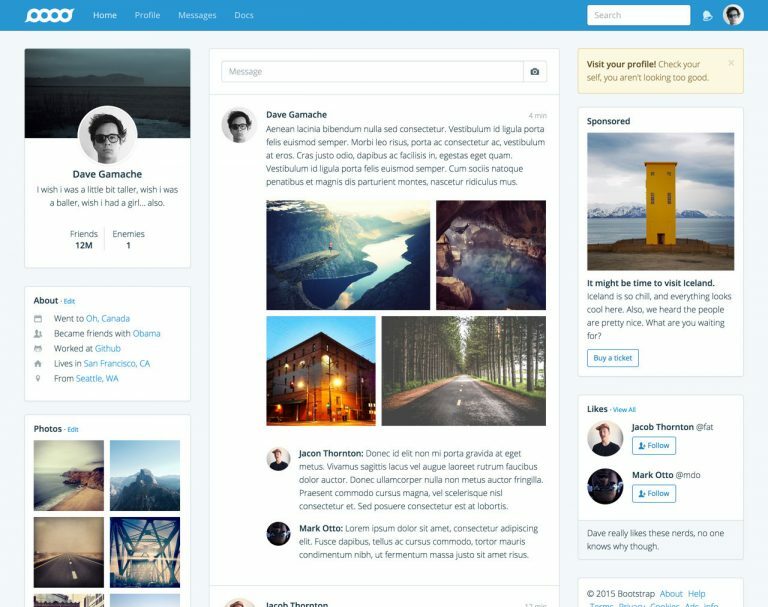 Nice Admin is a powerful admin template based on Bootstrap that provides a clean and intuitive design that is focused on UX. It has been built to work seamlessly across browsers, tablets and phones. It includes advanced examples of charts, form validation and maps. 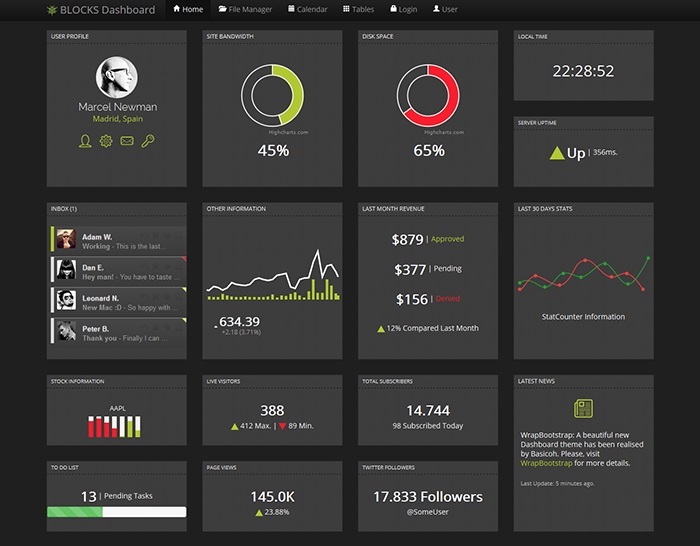 Blocks Bootstrap Dashboard is a theme crafted by Carlos Alvares in 2013. This theme was originally available on the Black Tie site. It’s a nice example that demonstrates use of UI elements such as dials, charts, buttons, switches and accordions. 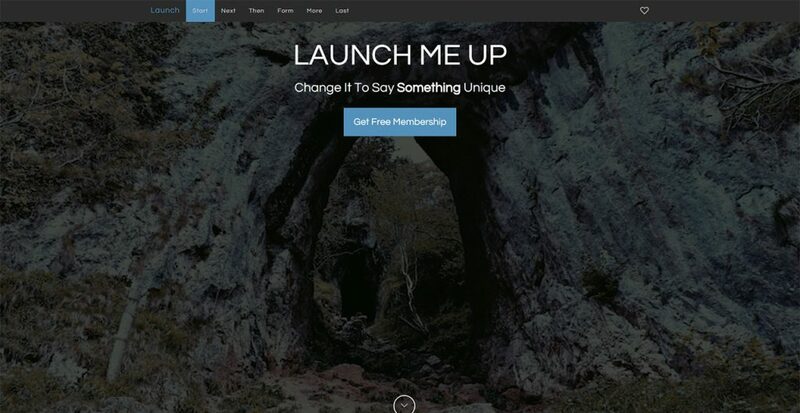 Launch Me Up is a responsive single page Bootstrap theme that works well as a startup launch or simple product marketing page. It has a fixed top nav bar. Menu items are automatically selected as the user scrolls the various page sections. This template also includes a modal sign-up/login form that can easily be switched to an email or subscription prompt form. There are basic card style panels to highlight key features, a simple contact form, and a long vertical marketing section. The bottom footer is multi-column and preceded by a row of social icons. 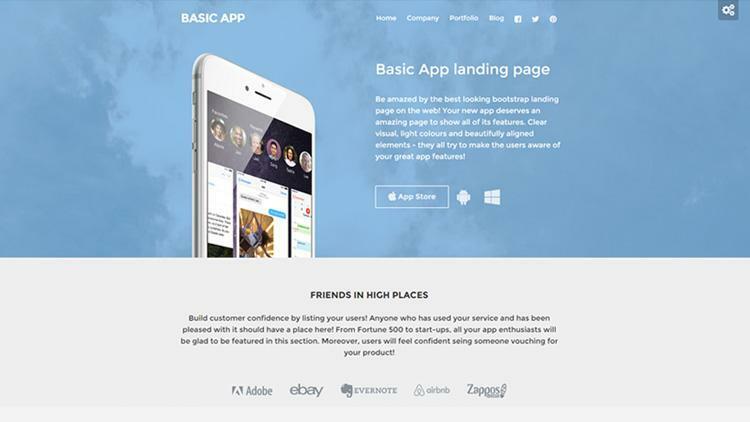 Basic App a simple, but functional landing page theme for your app. It comes with 5 color schemes, and there are vertical sections to highlight app features or screenshots. There are also social and app store links for iOS, android and chrome. 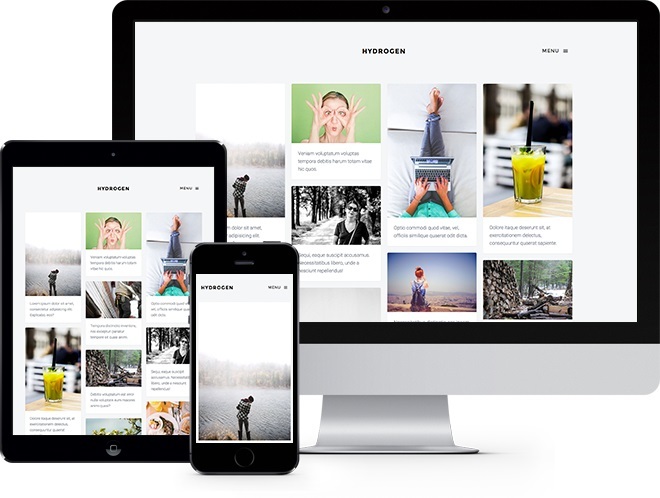 A clean, Bootstrap Small Business theme ready to hook into your favorite CMS, blogging platform or static web site. 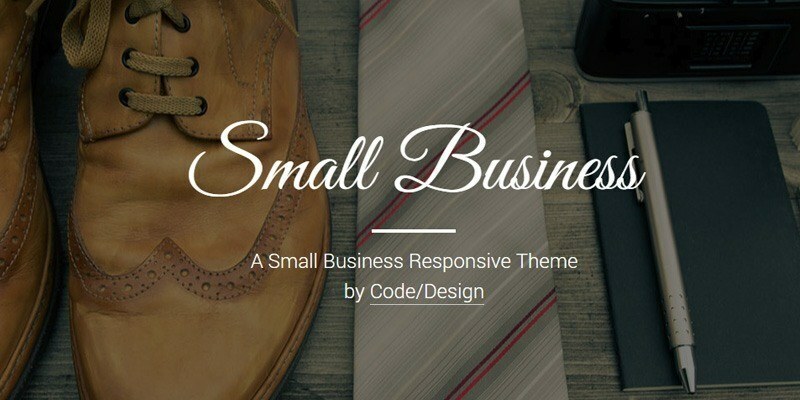 Small Business is a carefully styled Bootstrap theme that is perfect for small business site, personal or company blogs. It includes a working PHP contact form with validation – just add your email address to the PHP file included. 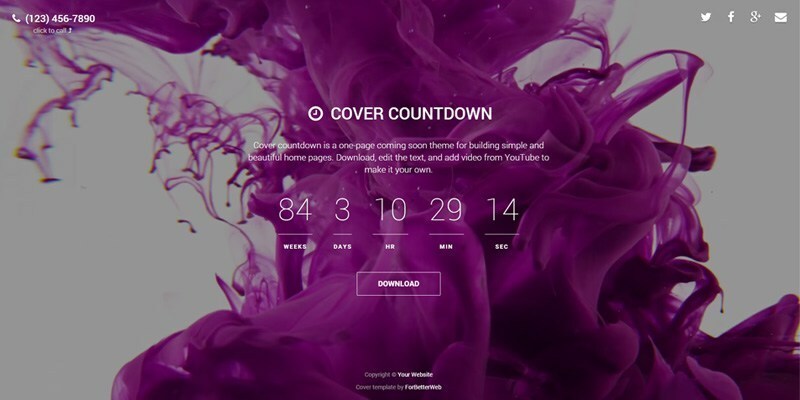 Cover countdown is a one-page coming soon theme for building simple and beautiful home pages. Download, edit the text, and add video from YouTube to make it your own. The theme is open source, and you can use it for any purpose, personal or commercial. A clean, modern, and multipurpose web template built with Bootstrap. This theme is a one-pager that features a full hieght intro header. It features sections for services, portfolio, clients, team and contact form. This works well as a design agency, business or professional firm. 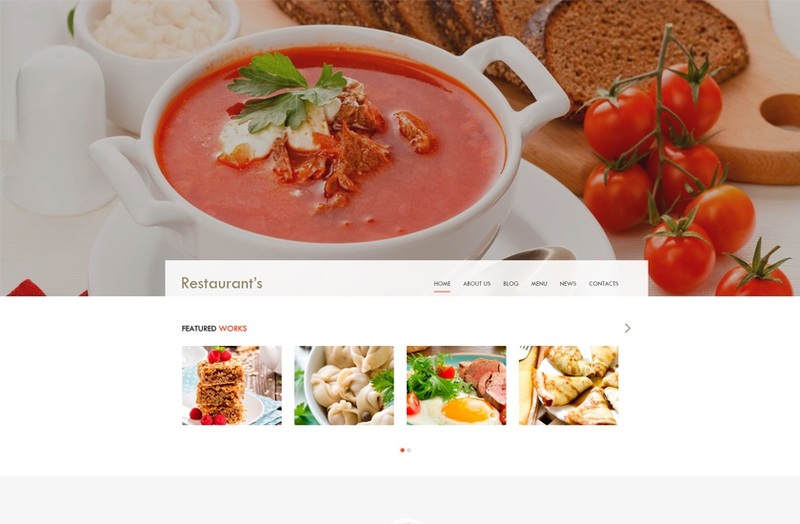 Restaurant is a clean and professional site template, perfect for Restaurant, Bakery, any food business and personal chef web sites. Built on HTML5 / CSS3. Its responsive too and contains a sticky navigation menu. 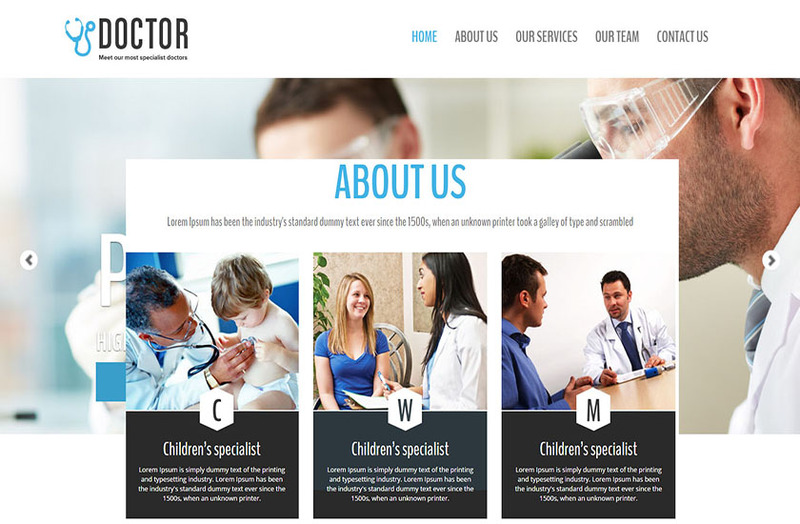 Doctor is a simple Responsive HTML Template for clinical purpose. It is built with Botstrap v3.x and includes Font Awesome. 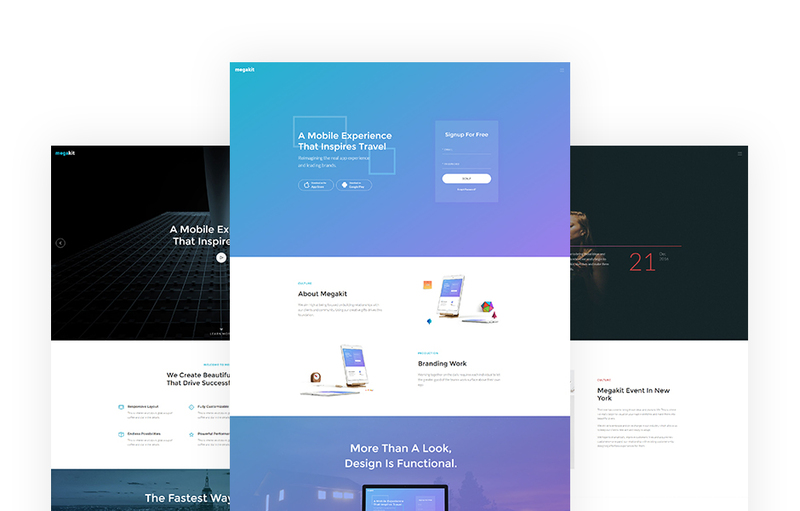 Here’s an elegant, one page template that’s ready-to-use as a mobile app landing page, or any type startup launch page. It has a subtle smooth scrolling animations, and several vertical sections that demonstrate different content layouts such as features, brand logos, screenshots, testimonals (slider), pricing blocks, FAQ and simple contact or subscription form. 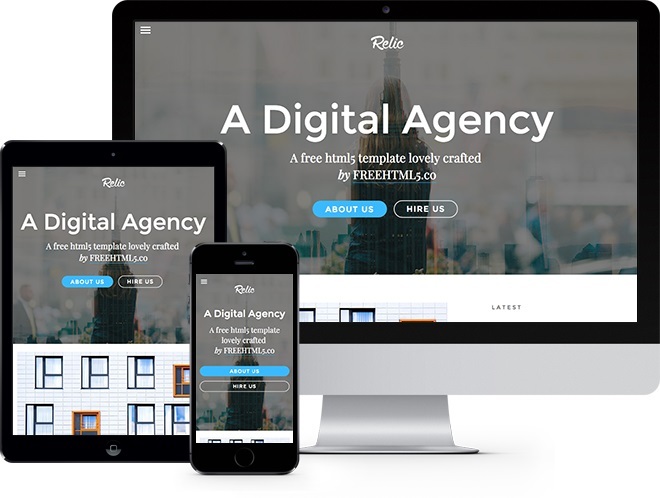 Relic is free HTML5 template that is perfect for an agency, corporate, freelancer, designer and developer alike. The template has a popup out navigation, readable content and a beautiful combination of serif and sans-serif fonts. 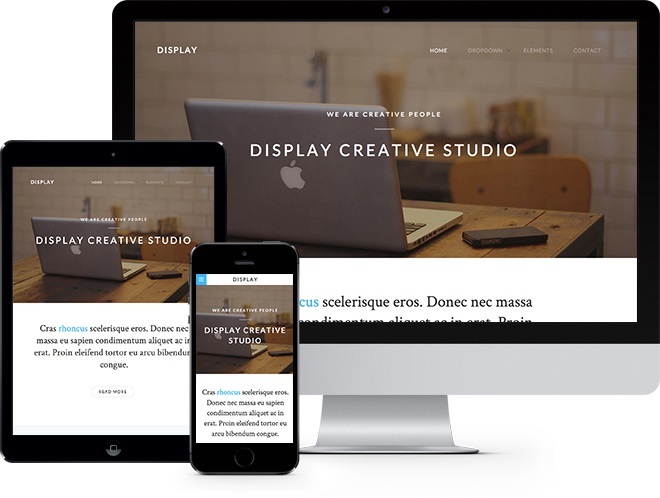 Display is a free html5 template using bootstrap. This template is clean and minimal and works perfectly in all devices. It has a bunch of features such as, fully responsive tab, pricing table, feature list, accordion, and has an off canvas menu on mobile. 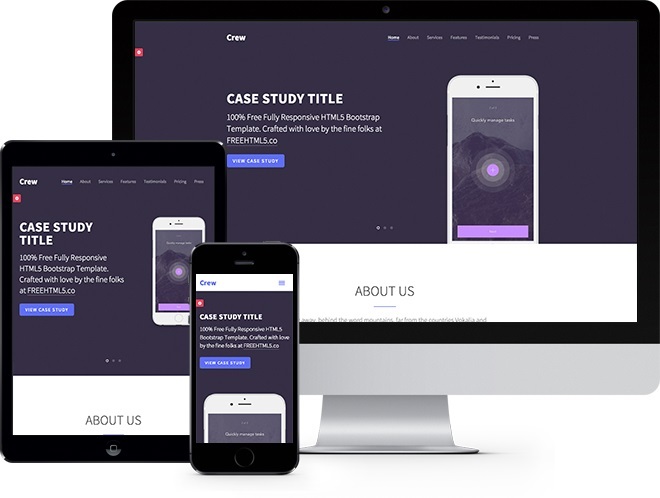 Crew is a versatile, free HTML5 bootstrap template suitable for any type of websites. Crew have unique features such as a preset of 8 color variations, smooth and sleek animations upon scrolling, beautiful and ready to use elements, such as pricing table, testimonials and more. Clean is a minimal and multi-purpose HTML5 template that has features of a smooth and sleek animation upon scrolling, Fully responsive and a retina-ready template perfect for portfolio sites but you can tweak it to suit your needs. 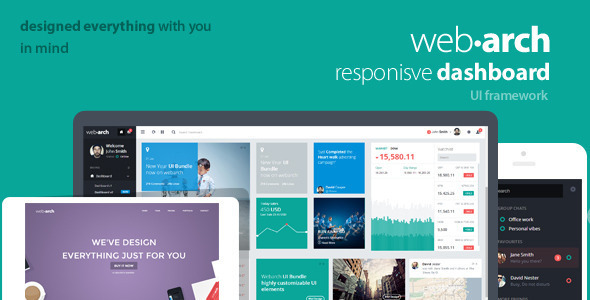 Hydrogen is a free HTML5 bootstrap template that is good for creative and portfolio sites. This template uses salvattore mason like grid in the homepage to show off your artworks professionally and elegantly. 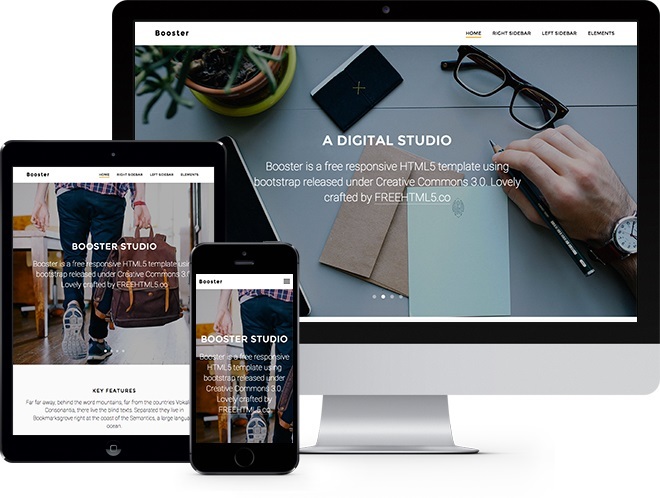 Booster is a clean and elegant free HTML5 bootstrap template that is suitable for landing pages and other related businesses. The homepage has a big and smooth slider and sleek animation on features section. This theme is best for showing off your products and features to the crowd. 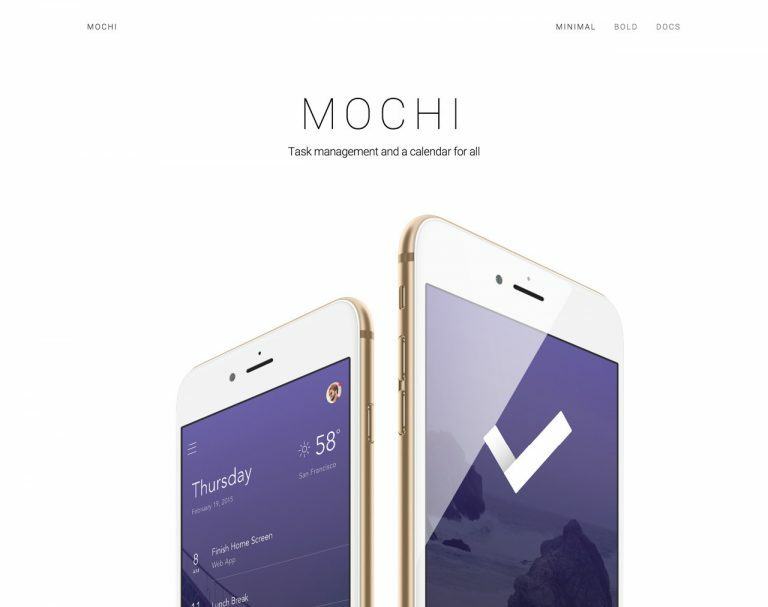 Obaju is a free and complex Bootstrap template for your next e-commerce project. It contains 22 HTML pages that cover all the major needs when building new e-commerce site: homepage, category listing, product detail, shopping cart and order process, customer pages, blog. This theme comes with 6 color variants included. Documentation is part of the download too. 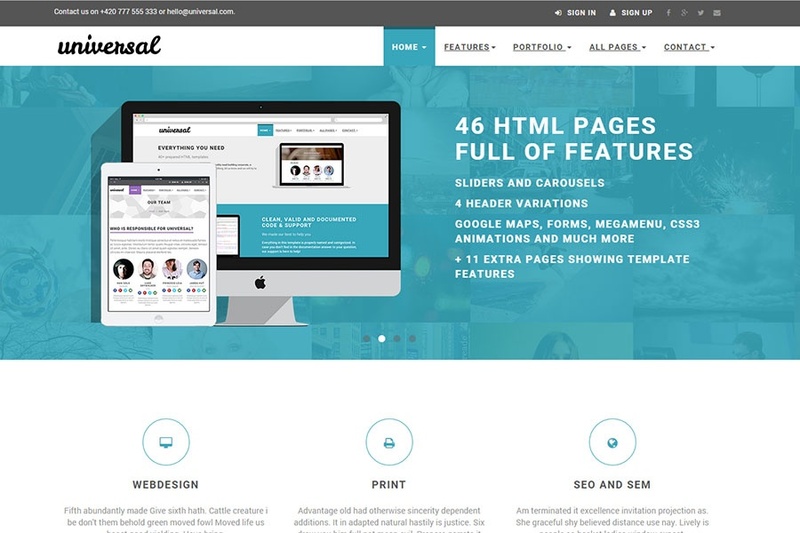 Universal is clean and stylish universal website template built with Bootstrap 3.3.2. It stands out with its clean design and elegant typography. 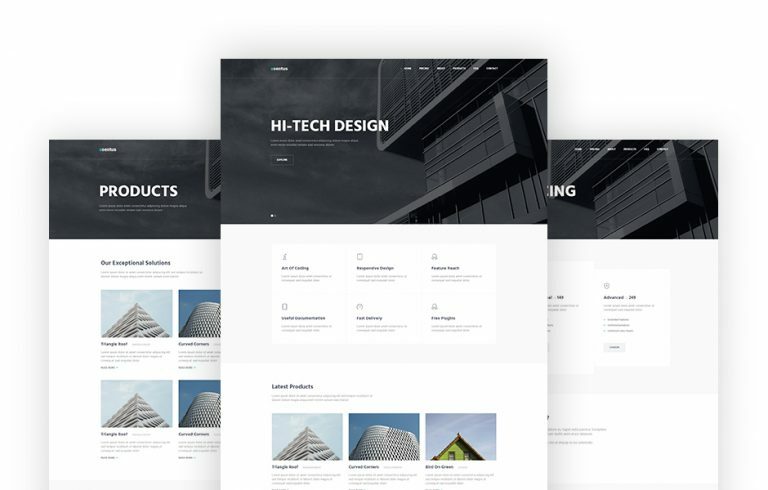 This theme includes 45 HTML pages so you should have everything you need to start developing new business, portfolio or e-commerce website. Along with the 45 pages you will get also 11 pages showcasing Bootstrap elements and possible template modifications. 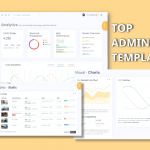 Metronic is the top selling Bootstrap admin theme of all times and offers 7 Admin themes, 1500+ UI Features, support for RTL and material design layouts. 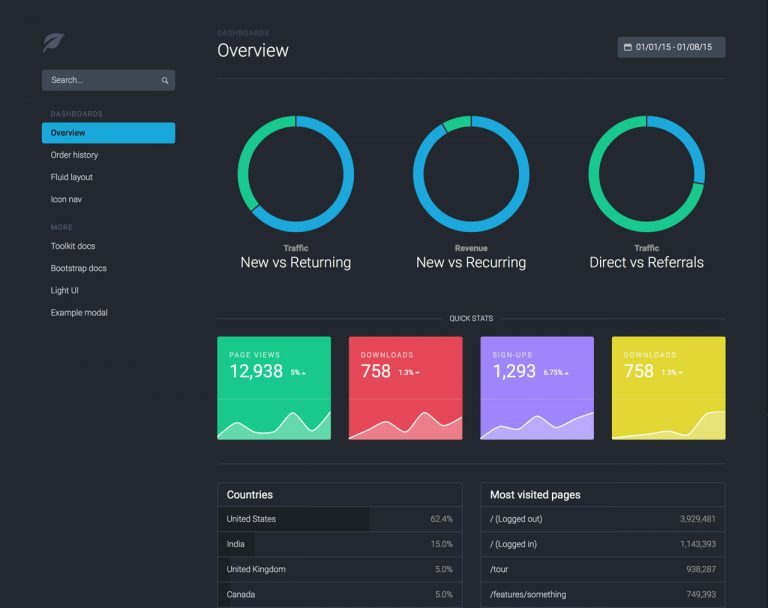 It’s built with Bootstrap, SASS and AngularJS to get you started with developing your admin dashboard. 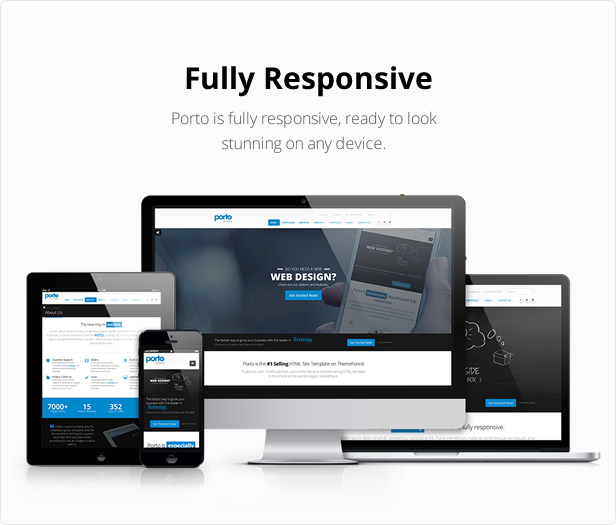 Porto is another popular responsive HTML5 template on ThemeForest offering unique homepage versions, Boxed/Wide and Dark/Light options, unlimited header and footer styles, unlimited color skin options, RTL support and more. 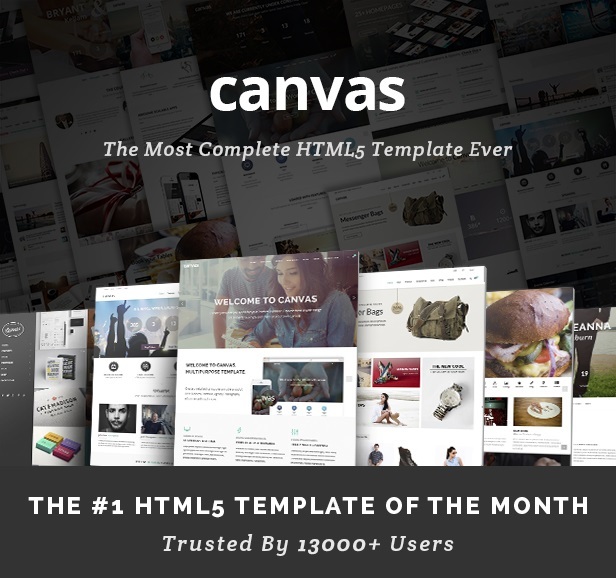 Canvas is a Powerful, Responsive & Raw Multi-Purpose Multi-Page & One-Page HTML5 Template. Be it Business, Corporate, Portfolio, Agency, Magazine, Parallax, Wedding, Christmas, Medical, Travel, Construction, Media Agency, Restaurant, Blog or App Showcase, just everything is possible with Canvas. Amazing flexibility, Dark Scheme, Super Shortcodes, Raw Bootstrap & Scalable Responsive Features makes Canvas stand out from the crowd. 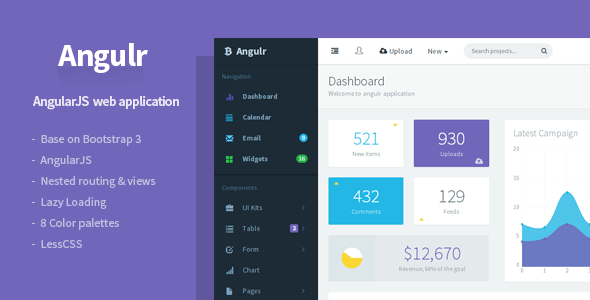 Angulr is an admin web application template built with Bootstrap 3 and AngularJS. It is built using grunt and bower with bootstrap and angular, features nested views & routing and lazy load for large project. Progressive is a simple and functional Bootstrap template built using the latest HTML5 and CSS3 technologies, which allows to make changes in the page structure of the template. It features more than 200 interactive elements, as well as support for Twitter Bootstrap. 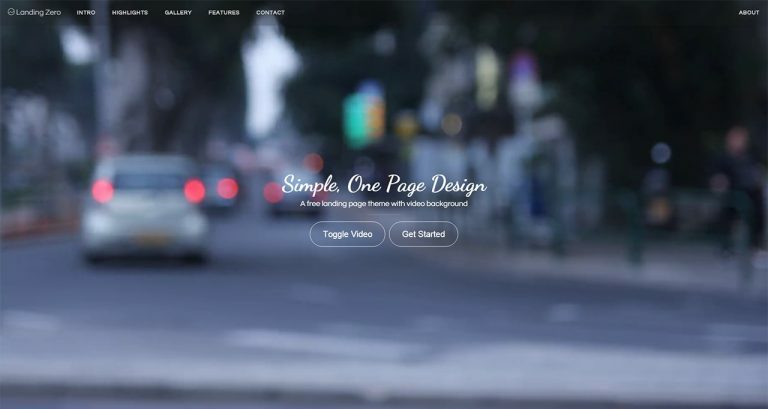 You will get the Revolution Slider for free when you chose this template to build your website. 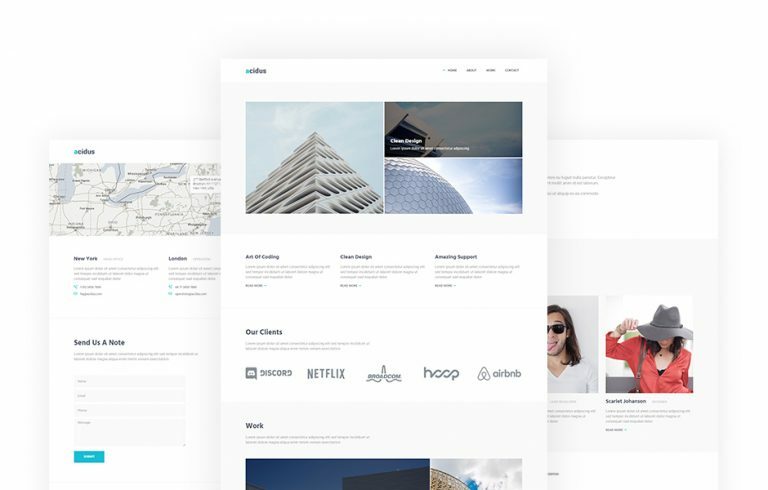 Pivot is a block based multi-purpose HTML template with a page builder which allows you to build pages and manage content from the comfort of your browser. 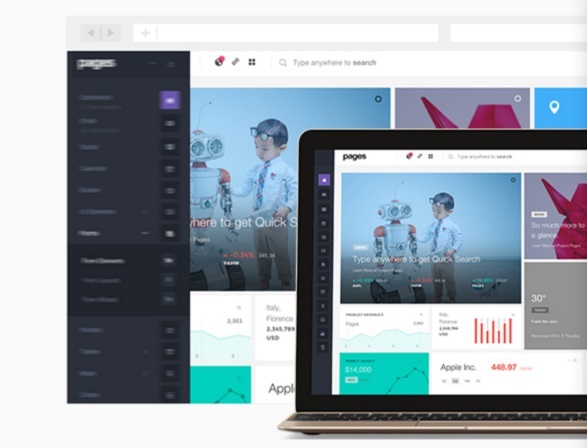 Built with Bootstrap 3, it include MailChimp and Campaign Monitor forms, Twitter and Instagram feeds support, retina-ready icons and much more. 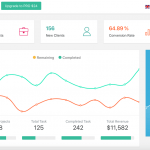 Webarch is a responsive Bootstrap admin template with four layout and color theme options and 100+ UI widgets offering unlimited possibilities for your admin dashboard view. 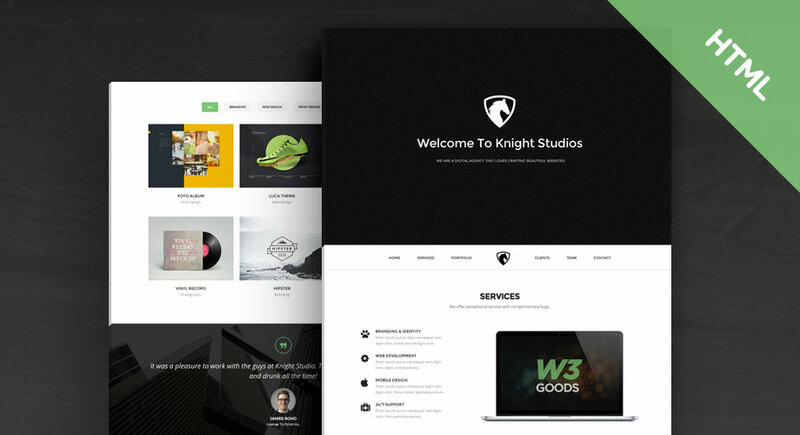 Kallyas HTML Template is a wonderful and highly customizable template for multi-purpose websites. It includes premium plugins like slider revolution, iOS Slider, WOW slider, cute slider, iCarousel, and drag and drop HTML builder. Modern technologies are used to build this template and thus some features are not available on older browsers. 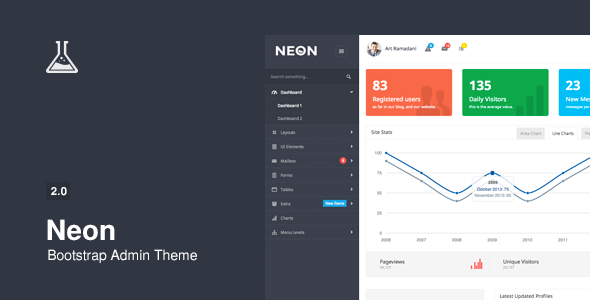 Neon is flat admin template for multi-purpose usage built with Bootstrap 3.3.5. It contains more than 112 HTML files which offer you great variety of layout options and resources, and it will be extended in the future updates with newer plugins and pages. 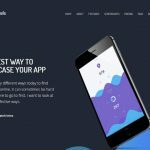 Amidst all the free bootstrap templates and themes we covered above, Official Bootstrap themes were launched in 2015 by the makers of bootstrap. While they are paid themes, we can easily say that the official Bootstrap themes are some of the best Bootstrap based themes we have seen in a while. 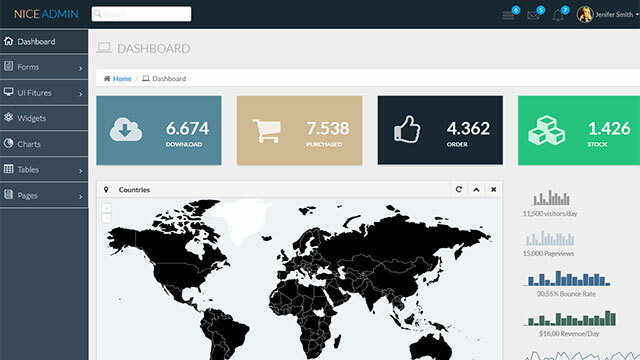 These themes include admin dashboard template, marketing template and application template, all based on Bootstrap. 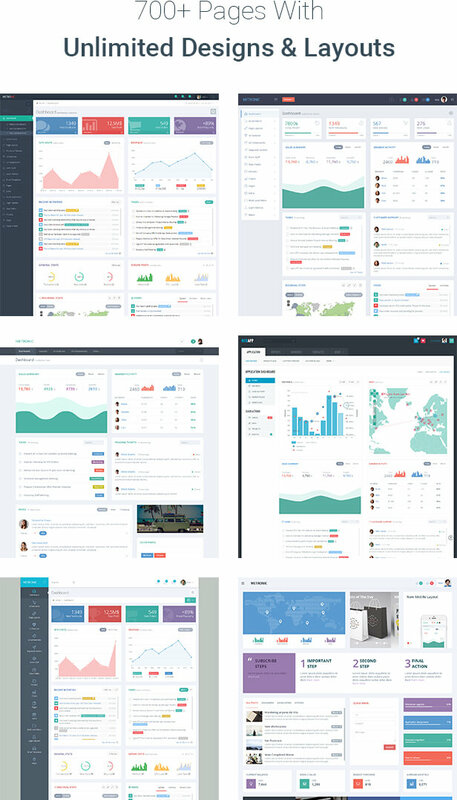 This bootstrap powered theme is designed to be the perfect starting point for any dashboard or admin site. Charts, graphs, sortable tables, and more than a dozen other new components are included in the template. 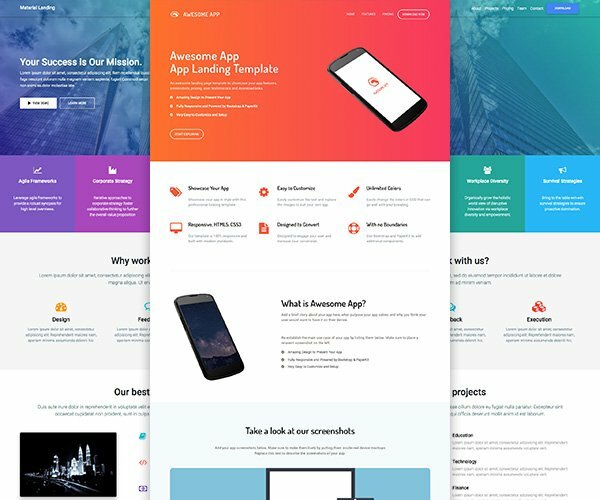 With this bootstrap template you can build beautiful marketing sites for apps, startups, and business. 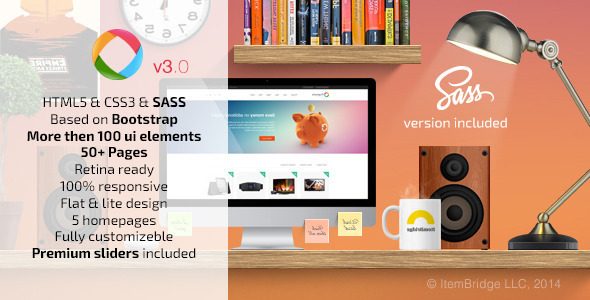 Over 15 new CSS and JS components adapt to any brand or style are included in this bootstrap theme. Build robust web apps with timelines, profiles, notifications, messages, activity, and new utility classes included in this theme build with Bootstrap 3. Bootstrap is undoubtedly the most popular web design framework. With Bootstrap 4, new features like support for flexbox, move to SASS from LESS and easier customization support has been added and we are sure to see even more traction for Bootstrap based themes, templates and websites. If you are a web designer/developer or a web agency looking to build a website then choosing Bootstrap 4 templates is still the best option, given the community around Bootstrap. 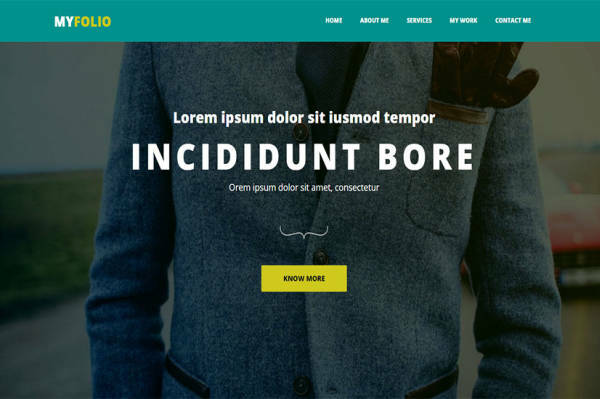 There are also some great option available in form of Bootstrap 4 UI Kits that can be used to create websites of multiple-niches. We will continue to cover popular and newly released Bootstrap templates, so do make sure to subscribe to our RSS feed. 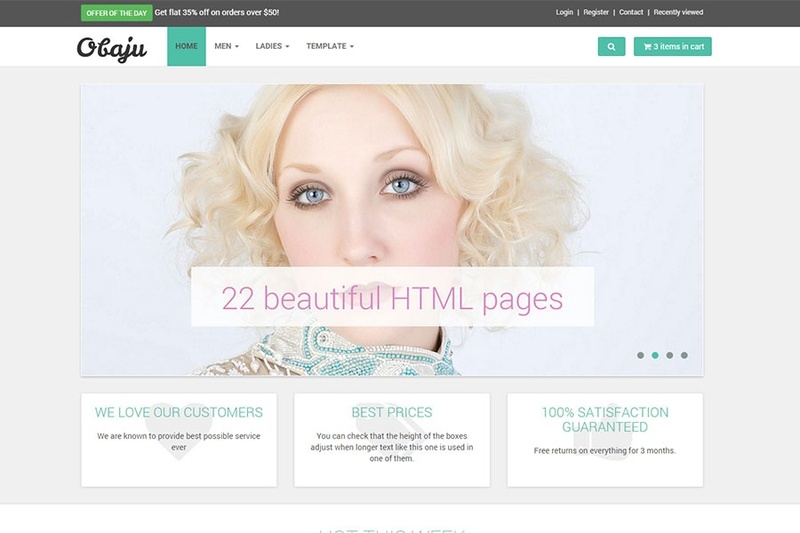 If you would like to add any other free/premium bootstrap template that we may have missed, then please do contact us. Very Impressive themes.Good Work.Keep going. Thanks for sharing. it is really helpful . I’m new in web developing World.well done and please keep going.